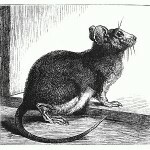 A collection of vintage black and white mice drawings that are copyright free and downloadable. All of the mice graphics in this group have been selected by a crafter and web designer for other artists to use in their own projects. 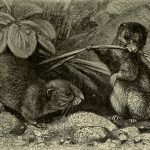 While not actually mice, this vintage field vole drawing features two very charming rodents. It’s the work of Friedrich Specht and copyright free. Black and white drawing of a wee little mouse. Charming copyright free mouse drawing. 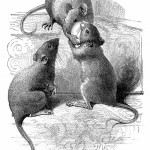 Drawing of two mice acting like gossips. 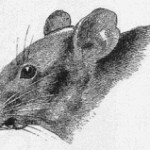 A nicely detailed black and white drawing of a mouse. 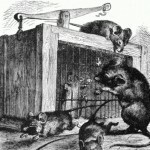 Vintage drawing of a group of mice plotting to release one of their friends. A charming vintage drawing of a mouse. A cute little mouse peeks out from his hole. Vintage black and white drawing of three mice stealing food. Four cute mice vie for space in a teacup.